Cooking is a great way to get kids excited about food as well as to help them work with you and learn exactly what goes into making a recipe. 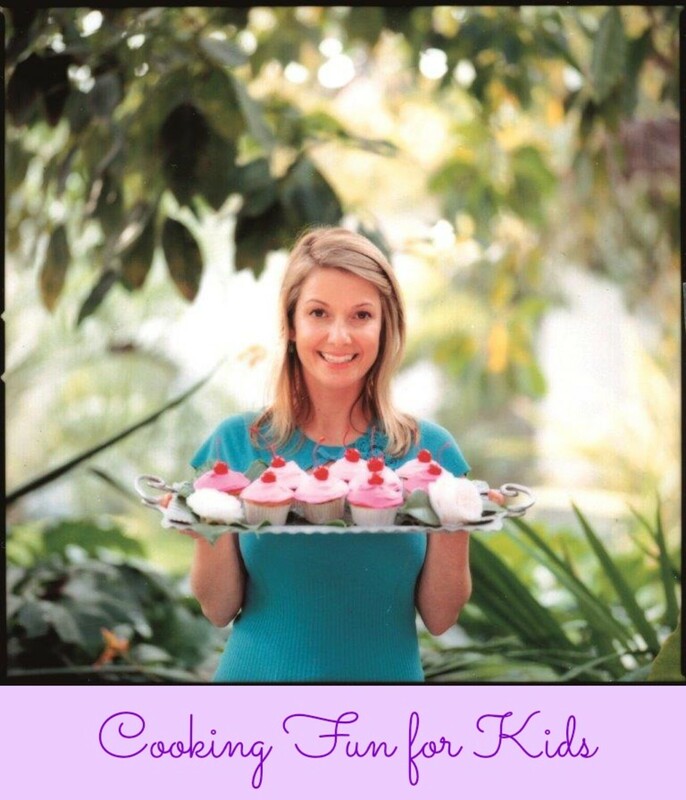 To help Momtrends out, we spoke with cookbook author and founder of YummyFun Kooking Series Clare Crespo about some of her favorite fun food tips and how to inspire families in the kitchen this summer. Momtrends: What are some ways parents can get kids involved in the kitchen? get your kids in that kitchen with you! Give them roles (based on their age/skill). There is something everyone can do! By the way, in my kitchen, it is my husband who needs the simple task, not my little kid! Also, working on an ice cream dessert is a great way to get together, because with the recipes I am coming up with, there are no stoves or ovens being fired up! Momtrends: What are some of your favorite recipes for busy families? Claire: For the Fourth of July I loved to make a spin on the sundae bar idea, try making Patriotic Posies! Start with a scoop of Breyers Natural Vanilla or Strawberry ice cream. Fill little bowls with different red, white and blue toppings (candies, sprinkles, marshmallows, whatever you like! Let your family make their own flower! Fun! Or how about Mint Chocolate Chimps Ha! 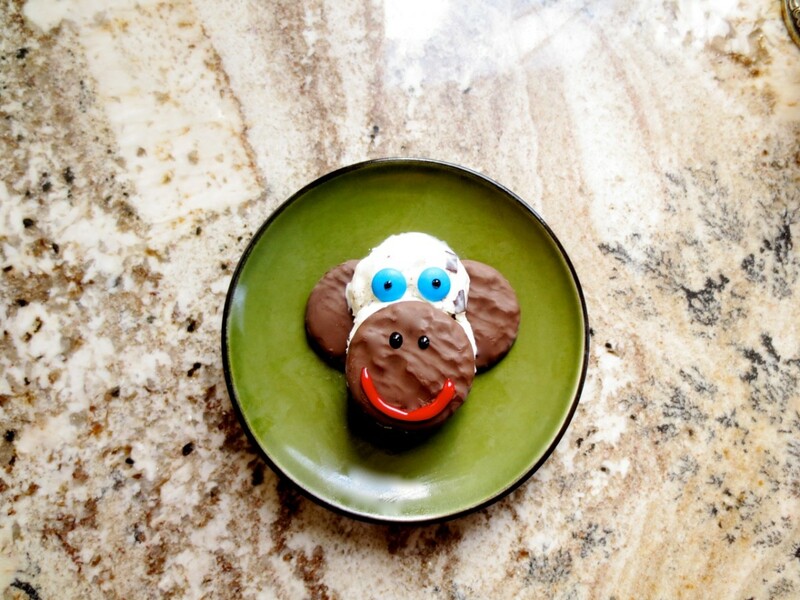 Chimpanzees made out of ice cream, cookies, and candies!! Your little monkeys are going to love that, right? Momtrends: What are your thoughts on picky eaters? Claire: Keep trying! Sometimes if you keep trying to introduce something your child, they might surprise you and try it and even LIKE it someday! Also, involving your child in the preparation really makes it more likely that they will try that dish! So let them help out in the kitchen!